Vinyl sales in the UK are at a 20 year high. 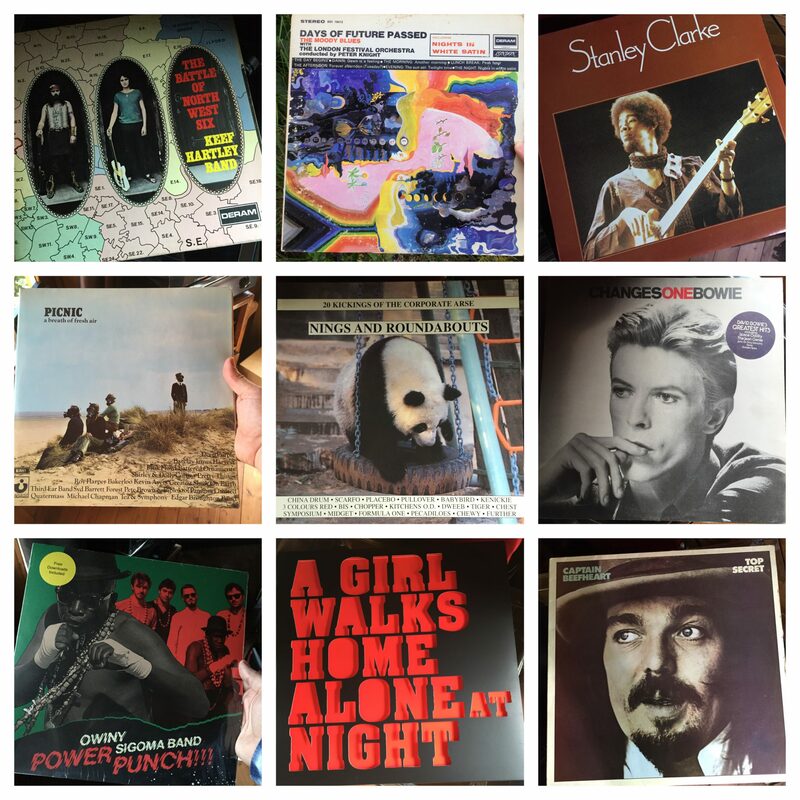 This last week I’ve bought records from Oxfam, HMV and Action Records in Preston. 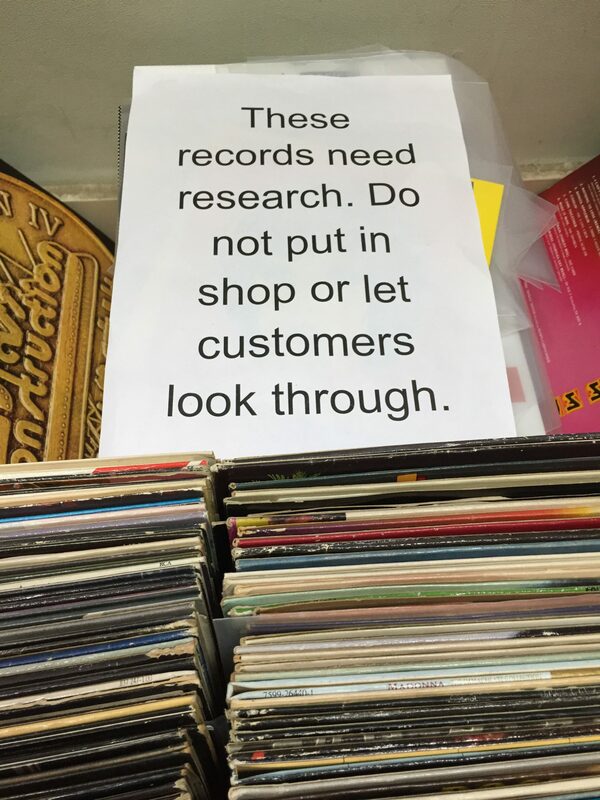 My local Oxfam in Huntingdon has a sign in the street saying ‘Vinyl Revival This Way’ with an arrow pointing in the direction of the store. Inside, amidst the books, there’s a great selection of 33’s and 45’s, all researched by and priced fairly. Well, more fairly for the collector than the passer-by looking for car-boot prices. And why not? It’s all for a good cause. Plus it’s worth it for the friendly service. After a brief chat about what I was after, the manager asked if I’d like to view the selection not yet on display. How could I refuse. I lost well over an hour exploring the inserts, cover art and liner notes ’backstage’. Racks and boxes of vinyl awaiting pricing. I bought four records and even volunteered a little of my time advising them on how to get the word out. My second vinyl shopping experience this week was the day after at the Milton Keynes HMV. HMV went into administration in 2013 after amassing £170 million in debt. Over half the shops were taken over by Hilco and by the end of the year they had made profit. 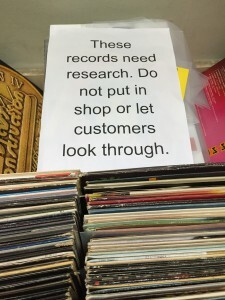 Due to it’s 120 different locations HMV now states it’s “Taking Vinyl back to the masses.” My experience was pleasant but nothing I remember from record shops of old. The listening posts have gone, and although the vinyl is there, it’s as limited as the knowledge held by the staff. I’m sure they are music fans but not with the eclectic tastes you often find in the passionate indy stores. Two days later in Preston I got to submerse myself in the stock of Action Records. A legendary Indy store. I recommend checking out this short film about the store..
I’m so pleased that a handful of independents have weathered the storm. I grabbed a few LP’s from Action Records. Two new and a two quid second hand copy of a Rainbow album I was after. (The rock band not the kids TV show. Although I’m sure they would have had that as well.) The new albums I’ve bought this week come with download codes for the digital copy. I think we’ll see new releases on CD obsolete before LP. There’s only been a few years of my life I’ve not had a record deck and amp. Apart from a chunk of the 90’s when I was travelling the world. 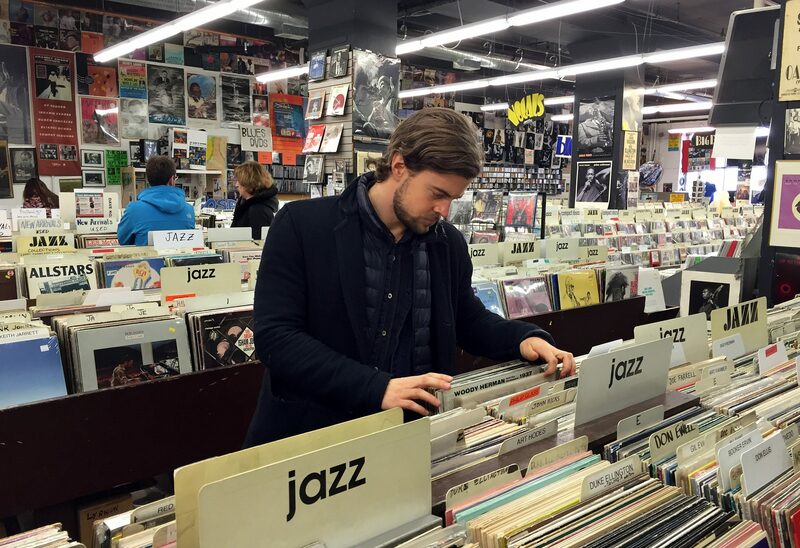 From birth to today there’s always been a stack of records and a player to hand. 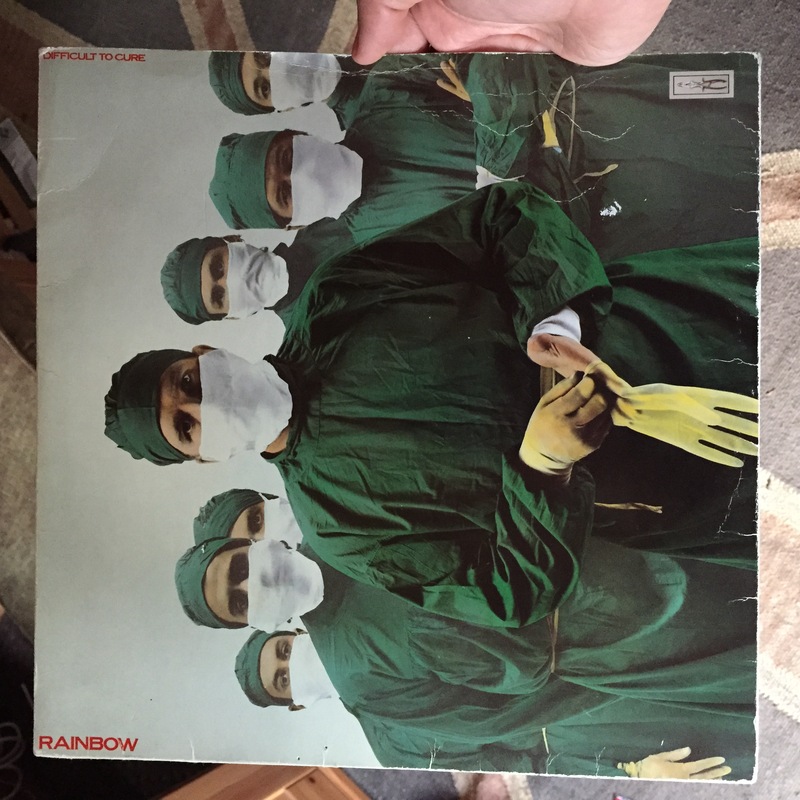 One of the first sounds I heard was needle on vinyl. Although it took quite a few years before my parents allowed me command of that actual needle. I still remember the training and how it felt to finally have control of the deck. To actively and intentionally listen to music. I’ve a modest record collection. One I’m slowly logging on Discogs. An eclectic mix that grew when my Mother died. Obsessed with music, she was no doubt the start of the musical thread throughout my life. From experiencing The Doors while in her womb, to the records of my childhood. Later I would work in a record shop, then as a roadie, then in a band and a music photographer. Since the beginning of 2014 i’ve been using a strange hacked together system. So recently I treated myself to a Denon Amp and new deck. 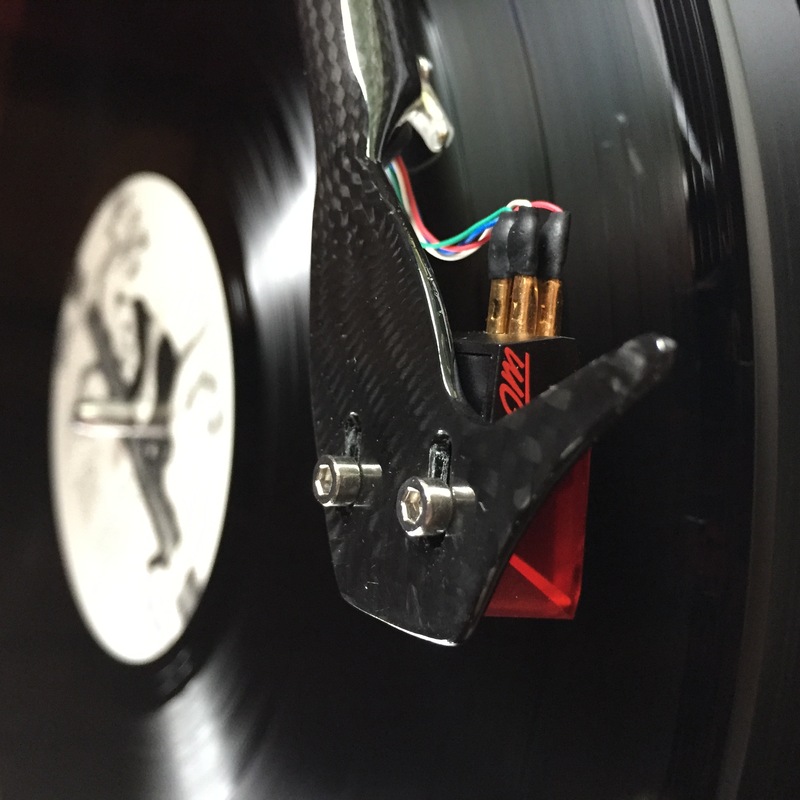 The Pro-Ject Debut Carbon. After setting them up in my shed/office I could hardly believe my ears. I’m really enjoying this tactile analogue experience. Outside of the nostalgia, there’s something about this ritual that’s missing when you click the shuffle button in iTunes. I now take the time to read the sleeve and admire the artist and the artwork. I love hearing my favourite tracks nestled within the context of an album. It’s very hands on. While sat at my desk I have to attend to the deck to flip a disc every 20 mins or so. Of course a CD or Playlist is easier than all this. But there’s a certain emptiness that accompanies convenience. Then there’s the sound. This is the best music gear I’ve ever owned. 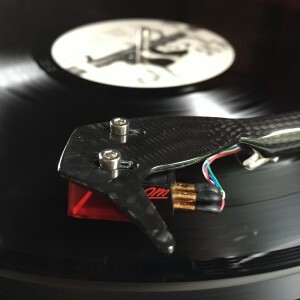 Vinyl that’s looked after, or fresh out of the wrapper really does put a streamed mp3 to shame. They sound rich and human. Yet I hesitate to deep clean some of the older stuff I grew up with. The crackles and pops are a huge part of the flashback I get when reminiscing. Vinyl is the least disposable of the physical media choices out there. Hi-Def downloads may sound cleaner.. studio perfect. Others may say sterile. They’re also convenient to manage and acquire. Just a few clicks and you can download more music that you can ever possibly listen to. For free if you know where to look. With many people streaming and not owning their music, perhaps paying for it will become as niche as placing a needle on a record. The vinyl revival isn’t for everybody. And that’s fine. I’ll be more than happy if this pleasure is merely sustainable. It’s certainly affordable. Like most photographers the switch from film to digital had the nostalgia priced out of the equation. The cost of film and processing is astronomical compared to ‘back in the day’. So for now I’m still expanding my vinyl archive and enjoying this opportunity to slowdown inside a very hands-on musical experience. Although I am nostalgic over how vinyl introduced me to music, it’s the digital age I have to thank for reminding me of the value of my very tangible vinyl. I have a refreshed appreciation for the physical object. The art encompassing it, and it’s fragile magic. Oooh, will check it out, it’s near me! Sadly don’t have the cash to really fork into the crazy collection i would love. Have a few of my faves, some Nirvana, some Sepultura. Last year a friend of a family who works in real estate stumbled across a whole heap of early 90s house that they donated to me. Thanks. A donated collection? Stuff dreams are made of. I’m now off to checkout the Hummingbirds. Cheers! I hope musicians will benefit from Apple’s new eco system. We need something to bridge the gap and link the artist to their creations. At the moment I see a physical record collection as evidence of a persons passionate involvement as well as investment. I see a massive digital archive and can’t help bur wonder how much has been torrented. I’ve found Bandcamp https://bandcamp.com/ quite good for new music, some free and some you pay for. I found Eureka Machines and others there http://eurekamachines.bandcamp.com/. I’ve also supported a couple of PledgeMusic campaigns, knowing the artists retain ownership and control of the music and royalties. Yes I dabbled in band camp early on and I know @Solobasssteve champions it. Cheers for the comment Shaun. Are you on Discogs? Would love to see what you have. I’m not chap but will check it out, thanks. BTW if you’re in Brighton there’s a great record shop (bit of a Tardis where I managed to snag a rare copy of Can’t Stand Losing You in red vinyl to complete my collection) left just down from the station in North Laine co-joined with a retro diner. Natch. A record shop in my home town of Stockton-on-Tees has thankfully survived. Hi Sair, Thanks for the link. Started watching it and have added the shop to my list of ones to visit. Cheers! First music ever bought for me was a blue cassette ‘The best of the Monkees’. My Gran bought it me from Woolworths. 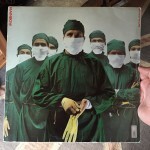 First single I ever bought with pocket money was this.. http://documentally.tumblr.com/post/121496085452/now-playing-the-first-single-i-ever-bought in 1981. A spontaneous buy because of the picture. But loved it. Again from Woolies. And then the purchase influenced by the film ‘Back to the Future’ which went on to shaped my future music taste for a long while.. 5150 from Van Halen.